A snack that you’ll love during this holiday season. Fruit, Cereal & Yogurt Parfaits are a delicious snack that combines two of my favorites: cereal and greek yogurt. I know I’ve said it before and I’m sure I’ll say it again, I love quick and delicious snacks. I usually go for a bowl of fresh fruit or jello, but sometimes I like to go for something more special like this parfait. I’ve always found interesting the different traditions we all celebrate during this holiday season. I grew up in a conventional Mexican family where we always spend the Holidays with our family and that involves lots of food. Now that I am married, my husband and I began our new traditions. One of my favorite traditions is: Movie time! Yes, watching a movie maybe doesn’t have anything special, but for us, sharing the moment builds great memories. The best part of the holydays is that we can create our own traditions, and it doesn’t matter where we spend the holydays, the most important –to me- it’s simply enjoy the moment with our loved ones. During this holiday season I like to make everything more special, more festive, even my snacks, and this parfait is incredibly quick and easy to make, and it really looks like a fancy dessert. 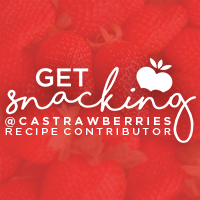 You just take some Honey Bunches of Oats® and layer them up with greek yogurt and some sliced fresh strawberries, raspberries, blackberries and pomegranate seeds. That simple! Fresh fruit: strawberries, blackberries, raspberries and pomegranate seeds. Layer up the yogurt, Honey Bunches of Oats®, strawberries, blackberries, raspberries, pomegranate seeds. I love Honey Bunches ofOats® because they’re crunchy and surprisingly satisfying for my tummy. You can find the in Target stores in the cereal aisle. 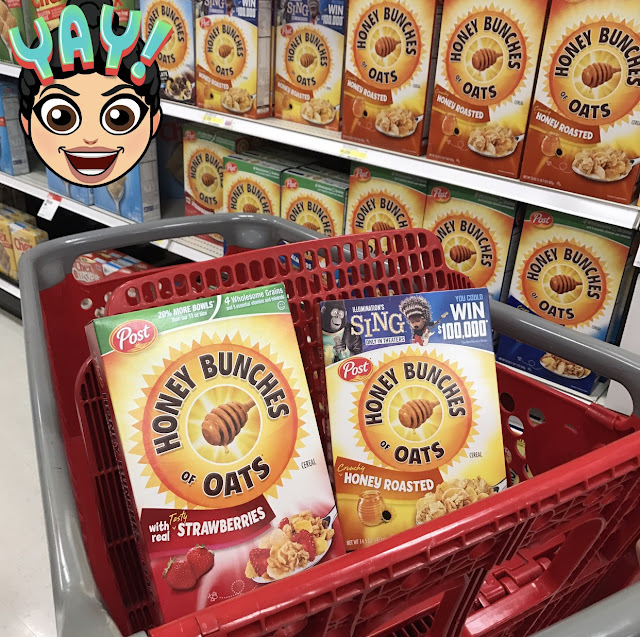 If you are like me, that likes to save a little money, you can get a coupon to save $1.00 when you buy 1 box of Honey Bunches of Oats®. By the way, this parfait will be perfect to enjoy before going to the theater to watch the movie SING© later this month. Watch SING© in theaters with your family starting December 21, 2016! Can’t wait! 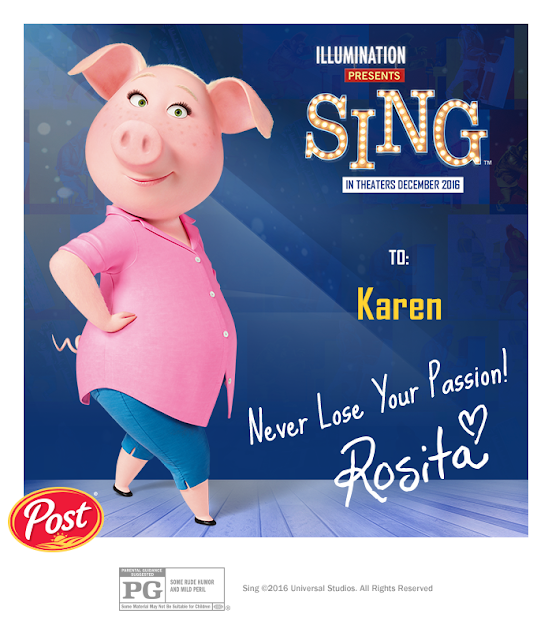 Purchase participating Post Cereal Brands and enter the movie SING© Sweepstakes for a chance to win the $100,000 grand prize plus the chance to instantly win lots of prizes including movie tickets, speakers and more! You can also play Fun-Trivia to see which SING© character you most resemble and get your digital autographed sing star card. I got mine! Yey!